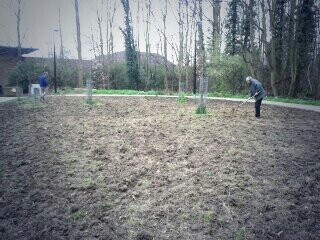 This morning we re-sowed the meadow in the park. We used a special mix of seeds for clay soil called em4 from emorsgate. The council had prepared the ground by rotavating it. Now we wait and see!